Take the three-day trekking from Kalaw to Inle Lake to feel the countryside of Myanmar, at a slow pace. Full day trekking from Kalaw to Ywar Pu village. Continue from Ywar Pu village to Hte Thein village. Last day of trekking, depart from Hte Thein village to Inle Lake. 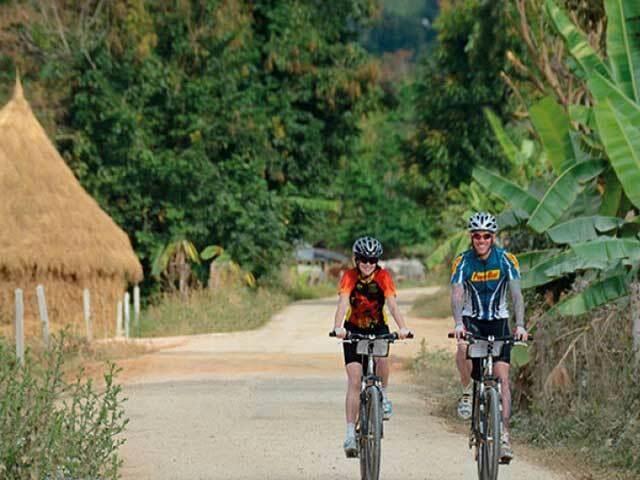 In the morning you will be picked up from your hotel in Kalaw to start the trekking to Inle Lake. The day starts with a walking from your hotel in Kalaw to the preservation jungle. 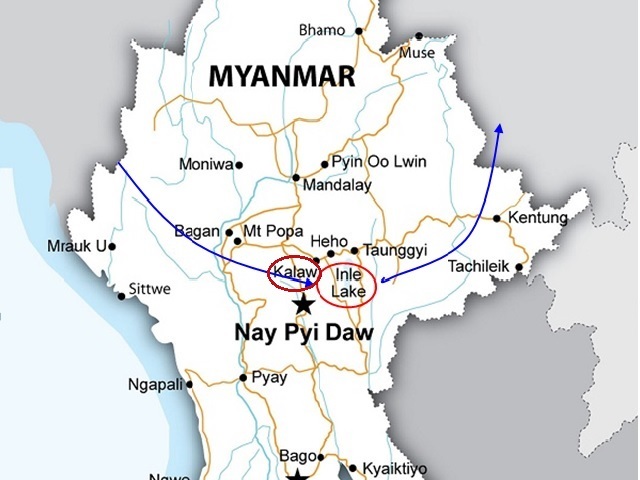 It will take about two hours to “Yae Aye Kan” which is the main water supply dam for the whole town. Pass through from the jungle and at the end you will see the Tea and Orange plantations. You will wonder the “Palaung” tribe ways of plantation in the steep valley. 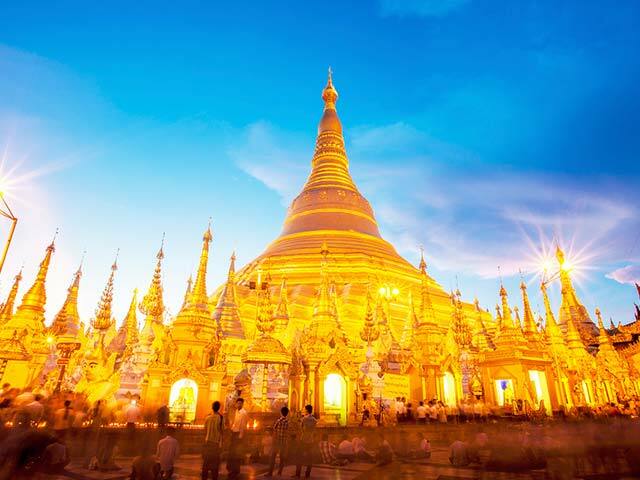 Enjoy the panoramic view and walk forward to “Hin Khar Kone” village for 45 minutes. Lunch will be at the local house of this village. After lunch, walk about 2 hours to “Myin Dike” (railway station). If you catch the train arrival, you may see the busy train market activities. Then walk to “Ywar Pu” (Danu tribe) village about half an hour where you will stay overnight. After 6 hours of trekking the day comes to an end. Time to relax. Lunch and Dinner with local food included. Overnight in Ywar Pu village. After breakfast, start walking about one and half hours to “Lamine” (Taung Yoe) tribe village and where most of the vegetables farms are exist. Pass by the farm to “Paw Kae” (Pao) tribe village for one and half hours again. Then fourty-five minutes up to “Kone Hla” village for the lunch at local restaurant. After lunch, trek to “Pattu Pauk” (PaO) village. It will take about one and half hours hike up hill. We can have a tea break at that village for a while. Thirty minutes to “Hte Thein” monastery where you will stay overnight. Today trails end after 6 hours. Now it's time to rest. Dinner with local food will be served. Overnight in Hte Thein monastery. After early breakfast, start walking about half an hour to “Kyauk-Su” Pa-O village. And Forty- five minutes to “Nan-Yoke” Pa-O village. On the way you will see the beautiful overview of “Inn-Lay Lake”. Then two hours going down to “Tone-Lae” or “Inn-Dein”. Enjoy your lunch at local restaurant, and take the boat back to the jetty. End of servcies.